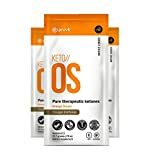 KETO//OS helps you achieve fast and effortless ketosis with its Beta-Hydroxybutyrate BHB Salts, formulated to help people who are in ketogenic diet to sustain its blood ketone levels even after consuming carbs. 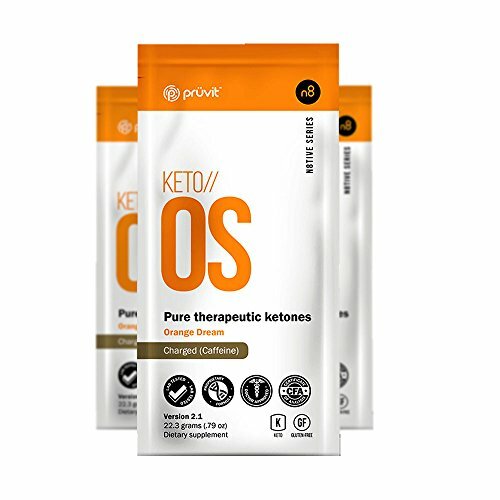 KETO//OS aids in effective fat and safe weight loss through sustained ketosis combined with your workout and it is easy to mix with water for your on-the-go dose of ketones. The exogenous ketones in KETO//OS gives you a fresh wakeup feeling, with increased mental awareness making your day productive and feel good. It also increases your strength, decreases any inflammation and improves your mood levels. KETO//OS Orange Dream is Gluten and Dairy Free, Lab tested for purest quality and efficiency. Caffeine content for each serving is equal to an average cup of coffee.